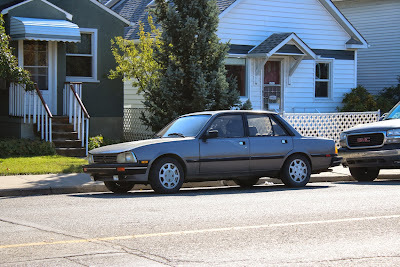 The Life Mechanical: Found in the Wild: DeLorean in Disguise? The genus is Peugeot, the species is 505 and the status is endangered, near extinction. 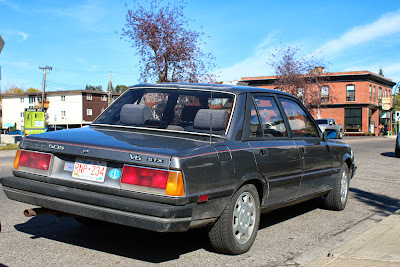 A street parked Peugeot on Alberta streets is a rare breed for sure. 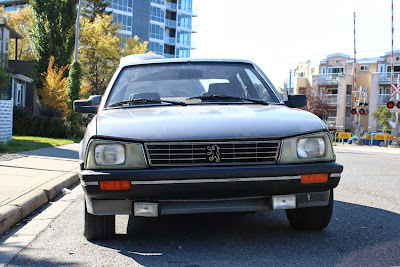 There was a time when French cars were fairly plentiful on North American roads but by the time our featured Peugeot 505 STX was made in 1986, that era was drawing to a close. Today we've found a 1986 Peugeot 505 STX with V6 power. 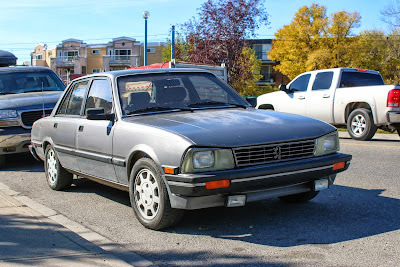 These were the last rear-drive Peugeots ever made and their design has aged well for an '80's car. 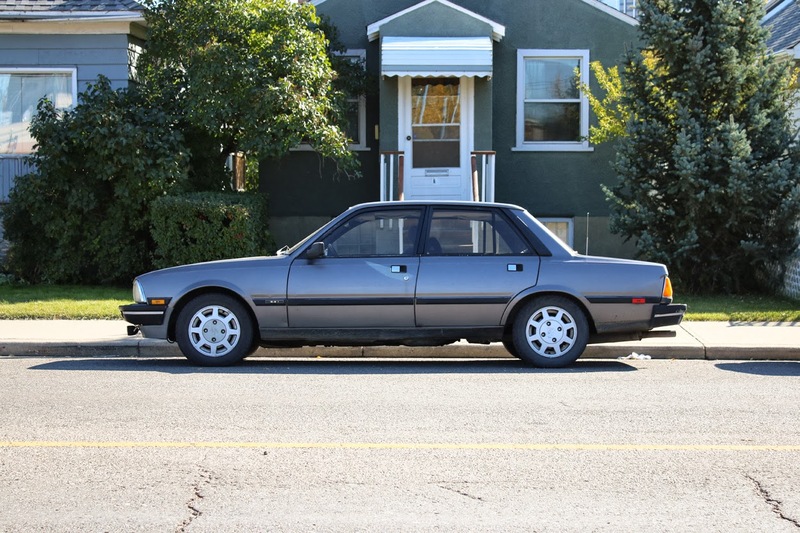 The 505 was larger than an E30 BMW 3-series but more compact and sportier than a Volvo 760. Bear with me on the numbers here. 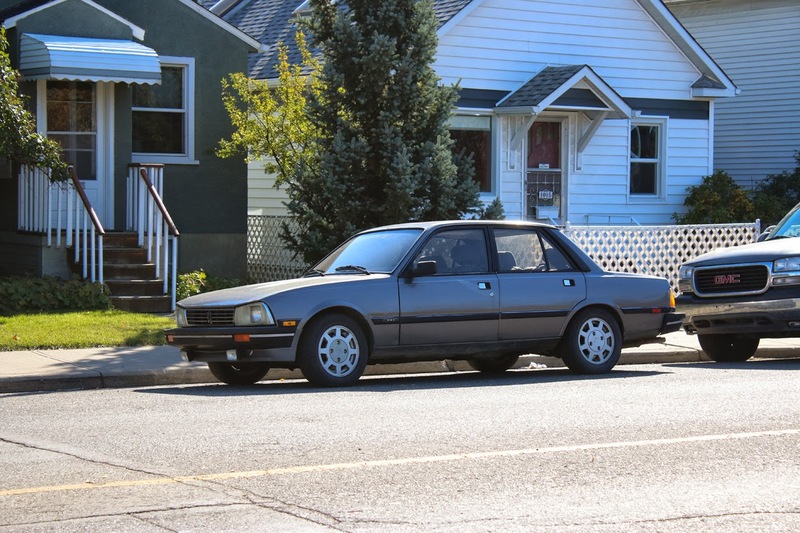 But what makes this particular 505 special is its V6 engine. While most 505's were four cylinder cars, this STX model is powered by a 168 horsepower 2.8 liter V6. As an interesting aside, it's the same V6 that powered the iconic DeLorean but the DeLorean's V6 produced 40 horsepower less than the 505. This is handy information to have if you ever line up next to a DeLorean DMC-12 at the lights in your V6 505. Smoke him. Another interesting detail on our little French Pug is the odd 'headlight-within-a-headlight' design up front. This odd arrangement came into being due to a US law that banned anything but round or rectangular headlights at the time. 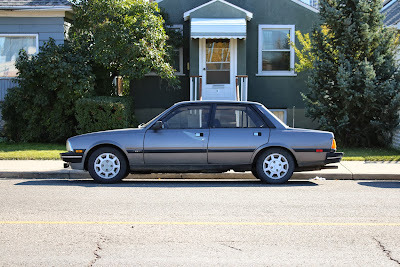 France (and the rest of the world) had moved on from sealed beam headlights years ago. Contemporary Mercedes also sported this odd look. For reference, here's an example of the European spec headlights. The 505 is a cool, sporty, rear-drive sedan and despite their rarity, values are relatively low. If you enjoy driving a unique car, it might be worth it to try out one of these quirky sedans. At least until parts availability makes you throw up your hands in surrender. After some detective work and some time, I now actually own this very same vehicle! And it was thanks to this blog that I even became aware of it. Thanks very much for taking the time to write about it. It's a wonderful driver's car and I'm glad to have it in my collection.